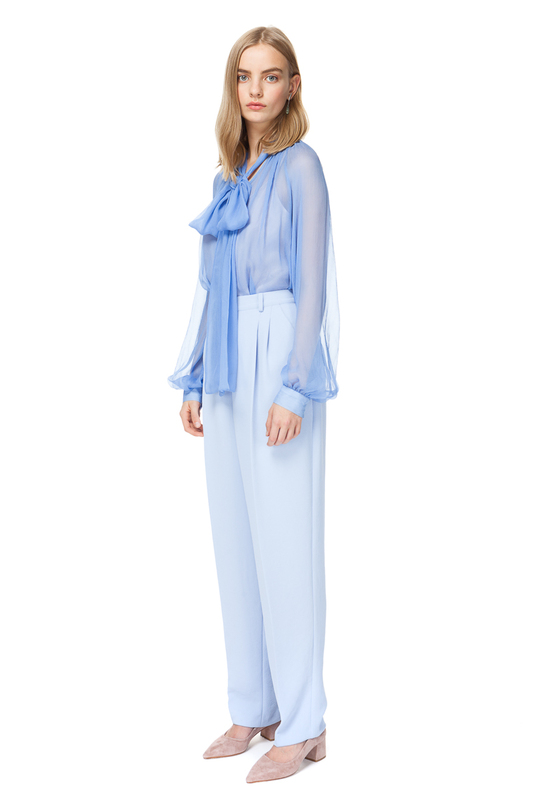 Tailored trousers in heavenly blue with sharply pressed creases that emphasise the wide-leg cocoon silhouette. Cut from structured crepe, this pair sits high on your waist and creates a memorable on-duty look when styled with a white blouse. 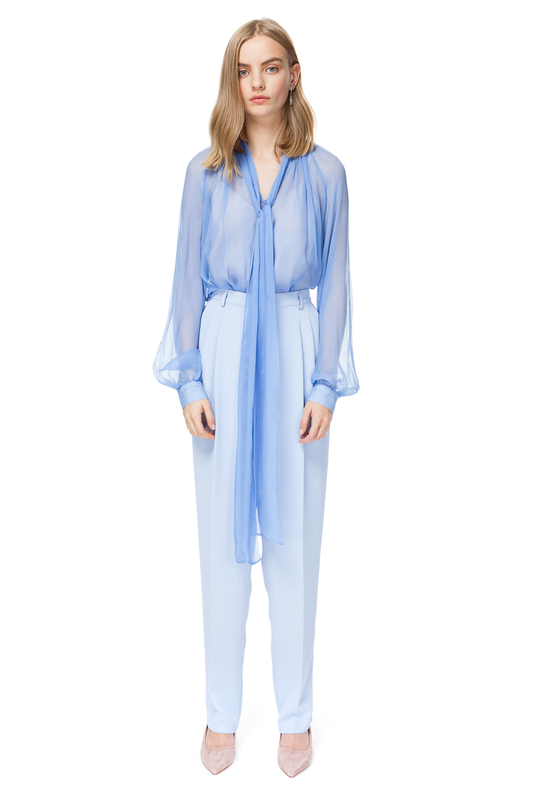 Try wearing yours with our matching blazer and pointed heels.